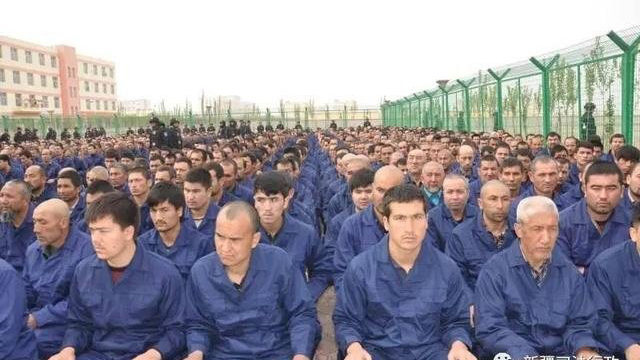 A photo posted to the WeChat account of the Xinjiang Judicial Administration shows Uyghur detainees listening to a 'de-radicalization' speech at a re-education camp in Hotan prefecture's Lop county, April 2017. China should just declare that Marco Rubio, Bob Menendez, James P. McGovern and Chris Smith will be detained if they ever set foot in China. By the way, does anyone know how badly is the Magnitsky Act hurting Putin and Russia? I think Trump has done about all he can do to China at the moment.